When your air conditioner runs, it creates moisture or condensation on the outside of the unit. This condensation can be significant, and it can drip down to create a puddle of water. Because of this, air conditioning units are placed inside a drain pan, and there is a drain line, also known as the condensate line, that runs from the drain pan to the outdoors where the condensation drips away. From time to time, however, the drain line can get clogged, and when this happens, the drain line must be cleaned. You can clean your drain line by following a few easy steps. Make sure the system is turned off. A PVC pipe should lead from your air handler down to a drip pan. Many are labeled Safe-T Switch and have a lid that can be opened. Open the lid and you should find the clogged drain line to have water that has struck a stop sensor inside of the pipe, shutting the system down. Using a vacuum designed for wet purposes, vacuum the water out of the drain pipe and the drain pan. Dry any other wet surfaces, as wetness could create organic growth and damage your home. In the past, a mixture of bleach and water or vinegar and water was used to help prevent a clogged drain line. However, because of new materials being used in HVAC systems, air conditioning professionals now suggest using only boiling water in the drain pipe. After pouring boiling water in the drain pipe, the air conditioning system should be ready to turn on again. While these quick steps will usually get your AC in the right heating and cooling state again, your system may need some professional attention. The pipes could have been awkwardly installed, causing the drainage issues, or it could have bigger problems. 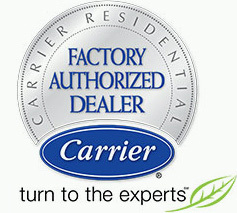 Contact Palm Air Conditioning in Boca Raton, Florida today if you need emergency AC repair. 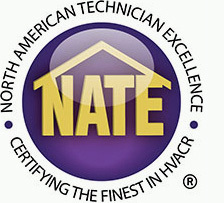 We will make sure that your HVAC system is ready for anything during Broward County’s sweltering summer season.